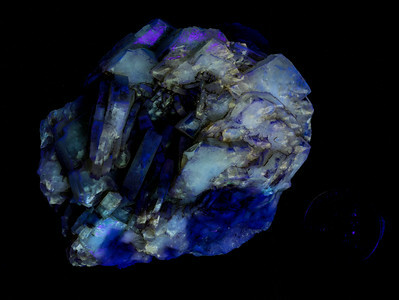 Mineral specimens found in Val Verde County, Texas. Barite (Baryte) is a Barium Sulfate Locality: On the historic Henry Mills Ranch, 1.5 miles west of Pandale, Val Verde County Chemical Formula: BaSO4 Crystal System: Orthorhombic Specimen Size: 11.5 x 10 x 5 cm Specimen Weight: 1.04 kilograms Collection reference identification: TMM-188. 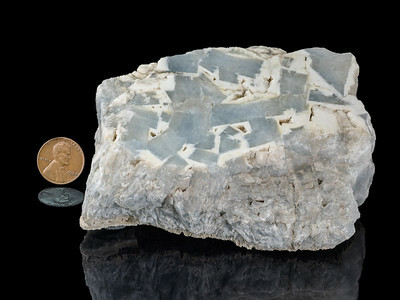 Specimen in the permanent collection of the Jackson School of Geosciences, University of Texas at Austin. Mineral: Barite (Baryte) Location: Pandale County: Val Verde County, Texas Chemical Formula: BaSO4 Crystal System: Orthorhombic Specimen Size: 6.5 x 5.5 x 4.5 cm Specimen Weight: 272 grams Other interesting facts: Information on Barite occurrences in Val Verde County found in : 1) Kyle, J. Richard. 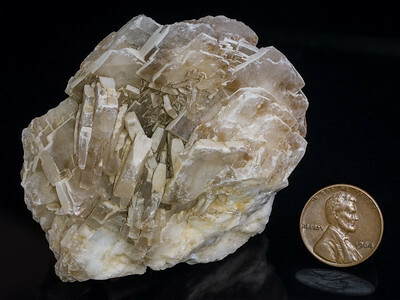 The barite industry and resources of Texas. Bureau of Economic Geology, University of Texas at Austin, 1994. Mineral: Barite (Baryte) brown crystal cluster Location: Pandale County: Val Verde County, Texas Chemical Formula: BaSO4 Crystal System: Orthorhombic Specimen Size: 18 x 10.5 x 1.5 cm Specimen Weight: 696 grams Other interesting facts: Information on Barite occurrences in Val Verde County found in : 1) Kyle, J. Richard. The barite industry and resources of Texas. Bureau of Economic Geology, University of Texas at Austin, 1994. 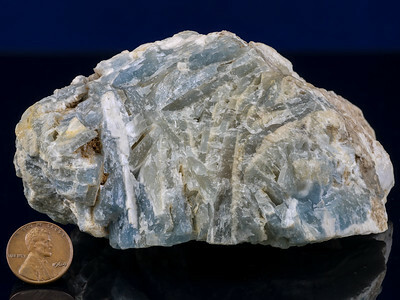 Mineral: Celestine (Celestite) and Barite (Baryte) Location: Pandale County: Val Verde County, Texas Chemical Formulas: SrSO4 and BaSO4 (sulfates) Crystal System: both are Orthorhombic Specimen Size: 10 x 8 x 3 cm Specimen Weight: 925 grams Other interesting facts can be found in: Kyle, J. R., 1994, The barite industry and resources of Texas: Univ. Texas, Bur. Econ. Geol., Austin, Mineral Resources Circular No. 85, 86 p.